Melbourne Tractors supply a range of new and used construction and agricultural machinery including tractors, buckets, excavators, loaders and bobcats. Melbourne Tractors also offer spare parts and servicing. 24/01/11 - Macleay Machinery, only 12 months old and going strong, sell a broad range of farm machinery and have experienced mechanics available for all farm machinery needs, including onsite servicing. 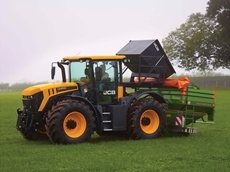 30/10/09 - JTP Machinery are stockists of high quality Italian manufactured Lamborghini tractors, ranging from 35hp specialised tractors to the 260hp broad acre with all the "mod cons". 11/09/08 - Yarra Glen Mower & Tractor Centre supply new and used tractors, mowers and spare parts from leading manufacturers namely Howard, John Berends, Landini and Kubota. 05/09/08 - Melbourne Tractors supply a wide range of used equipment. 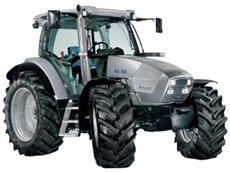 Melbourne Tractors offer used equipment including agricultural equipment and general equipment. 03/09/08 - Melbourne Tractors offer an extensive range of new and used tractors. Melbourne Tractors have more than two decades of experience in providing quality equipment and services for customers. 23/07/08 - Peter Hood Machinery provide used machineries for application in agricultural sectors. The used John Deere 6920 tractor from Peter Hood Machinery come with auto powered transmission units and triple link front suspensions. 23/07/08 - Sunrise AG specialises in offering a wide range of used and new equipment. The used machinery from Sunrise AG includes tractors, headers, fronts and attachments, spray plants, hoppers, hay equipment and tyres. Used tractors, headers, tillage and hay equipment from PH Kerr & Co.
22/07/08 - PH Kerr & Co. offer used agricultural machinery. The used agricultural equipment from PH Kerr & Co. include headers, tractors and tillage, hay and spray equipment. 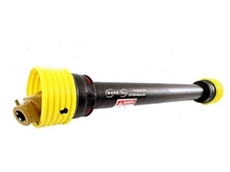 The headers from PH Kerr & Co. are available in different models.